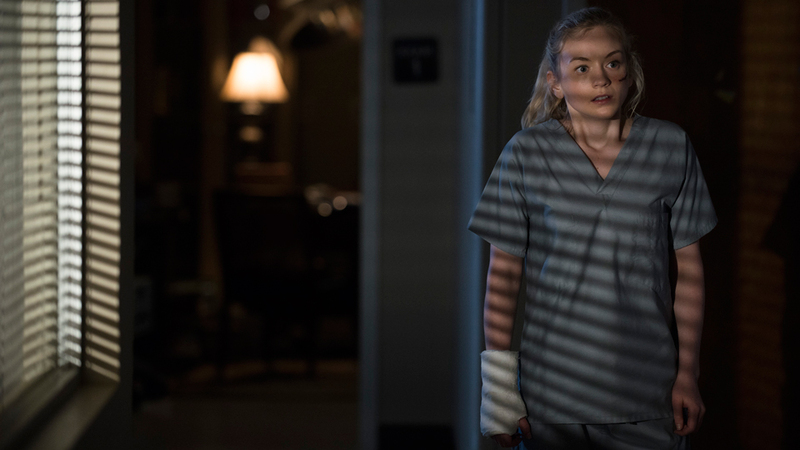 Beth wakes up in an Atlanta hospital to discover something far darker beneath the bandages. Every group of survivors develops their own unique way to handle the apocalypse. We’ve seen Woodbury’s almost “Pleasantville” style facade shattered by the brutality of its leadership. We saw the way Terminus acted like a haven for survivors only to reveal its cannibalistic nature instead. Now, we’re given another look at a group of survivors living inside the upper levels of Grady Memorial Hospital in Atlanta in “Slabtown.” The episode does a good job of identifying the core operation procedures as the leader of the group, Officer Dawn Learner, explains that for every kindness shown a debt accrues that must be paid. Food, medicine, clean clothing, electricity, it all costs something. Regardless of the fact that Beth didn’t ask for them, Learner explains that she must work off her debt if she ever hopes to leave the hospital. “Slabtown” takes us to a place that seems to be running with high efficiency. They have food, water, and even a laundry service available. But it’s the price of those things that makes it the most interesting. The only doctor in the hospital explains the way things work and how resources must be kept for rescued victims that have the largest probability of survival. For those that don’t make it, warm(ish) bodies are discarded through an elevator shaft so “rotters” can eat them instead of hunting the living. There is a cruel “slave labor” concept at play here as officers in the building track every bit of food taken to ensure the proper amount to pay off is specified. Upon meeting Noah, Beth finds out he has been doing laundry service for an entire year and hasn’t found a way to get out of debt. Not only that, but it was decided that upon arriving at the hospital Noah could be saved but not his father. He then reveals the truth behind the hospital; they chose to save him because he was weaker and wouldn’t fight back. The leadership in the hospital is sketchy, with Learner being physically abusive to make up for her small stature in an attempt to tightly control her group and Officer Gorman encompassing the grossest parts of the episode with a sexually abusive quid pro quo approach. An example of Gorman’s approach is when he took a sucker out of his mouth and forced it into Beth’s, and then later told her that they needed to come to an “agreement” as he put his hand up her shirt. It’s then that the best parts of the episode come to light: Beth is a lot tougher and obviously learned quite a lot from her time with Daryl. 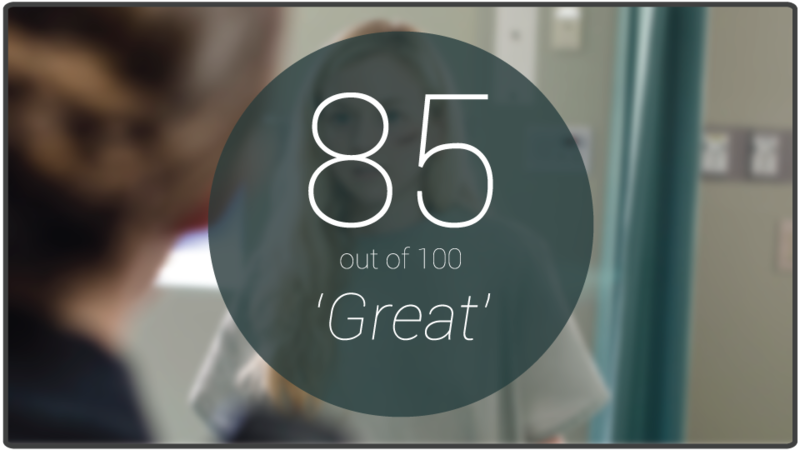 Recruiting Noah on her team, planning an escape, and setting up a trap that ended Gorman’s life makes the hospital escape sequence a very impressive one. Not only does Beth set up an excellent plan and do an awesome job leading Noah out of the hospital, but when he escapes and she doesn’t, she doesn’t cry or freak out, she simply smiles. The acknowledgement of her stepping up and doing something was a nice moment for the character. The ending abuse that Learner afflicted on Beth seemed fair, all things considered. However, the interesting part was that even though she was in trouble, they patched her up and kept her knowing she needed to re-work off what she had just done as opposed to killing her. They are surviving after all and the more the merrier. It was a nice treat in the last five seconds that the latest survivor they were wheeling in on a gurney was Carol! “Slabtown” does a great job of answering the “Where’s Beth?” question that has been lingering, while showcasing a different way of life for survivors with access to power and supplies. Even though several cliffhangers from “Four Walls and a Roof” remain unanswered, “Slabtown” did a great job filling in gaps and setting up an intriguing cliffhanger of its own. So what did you think about “Slabtown”? Will Noah come back for Beth? Will Carol wake up and go full beast mode by herself? Put on your zombie armor and attack the undead-comment section below!